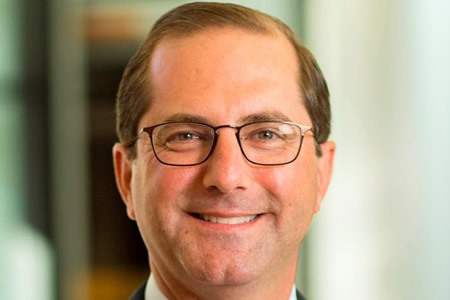 At a July 27 address at The Heritage Foundation, Secretary of the Department of Health and Human Services (HHS), Alex Azar, explained that the HHS will be undertaking several updates to health privacy regulations over the coming months, including updates to the Health Insurance Portability and Accountability Act (HIPAA) and 45 CFR Part 2 (Part 2) regulations. The process is expected to commence in the next couple of months. Requests for information on HIPAA and Part 2 will be issued, following which action will be taken to reform both sets of rules to remove obstacles to value-based care and support efforts to combat the opioid crisis. Rule changes are also going to be made to remove some of the barriers to data sharing which are currently hampering efforts by healthcare providers to expand the use of electronic health technology. These requests for information are part of a comprehensive review of current regulations that are hampering the ability of doctors, hospitals, and payers to improve the quality healthcare services and coordination of care while helping to reduce healthcare costs. That process has already commenced with the Centers for Medicare & Medicaid Services (CMS) already having proposed one of the most fundamental changes to Medicare in recent years – A change to how physicians are paid for basic evaluation visits. At present there are currently five tiers of payments for visits, with payments increasing for visits of increasing complexity. While this system makes sense, in practice in involves a considerable administrative burden on physicians, requiring them to justify why they are claiming for a visit at a higher tier. The CMS has proposed reducing the five tiers to two. That simple change is expected to save physicians more than 50 hours a year – more than a week’s work – with that time able to be diverted to providing better care to patients. The CMS has also submitted a request for information of issues with Stark’s Law, which prevents physicians from referring patients to other physicians/practices with which they have a financial relationship, except in certain situations. Requests for information on HIPAA, Part 2, and the Anti-Kickback Statute will follow. Healthcare providers that wish to voice their concerns about issues with HIPAA, Part 2, and the Anti-Kickback Statute should consider preparing comments and suggestions for policy updates to address those issues, ready for submission when the HHS issues its requests for information.